I think every mother of two or more kids has that one child who keeps her on her toes. The one who never walks and instead runs everywhere, getting in to everything. The one who loves to climb and spin. The one who is never still, who is always getting in to something. The very reason you had to quickly learn how to build a first aid kit. That would be Caleb, my middle one. It's as if the boy is driven by a motor. He started walking when he was nine months old, and he was running and climbing about two weeks later. At four-years-old he moved the couch to the middle of the room--yes, by himself!--so he could jump off the back of it. When I said that this child couldn't be left alone for a second, I meant it! Somehow, we both survived his toddler years. When he was five-years-old, I took the kids to the park. Caleb was doing great on the monkey bars until he fell. He got back up and kept playing, so I didn't think it was anything more than a sprain. Two days later, he was still favoring his wrist, so I took him for x-rays. He had a buckle fracture and spent three weeks in a cast. He's also dislocated his elbow and his thumb and had several cuts and scrapes, but luckily none that required an ER visit or stitches. 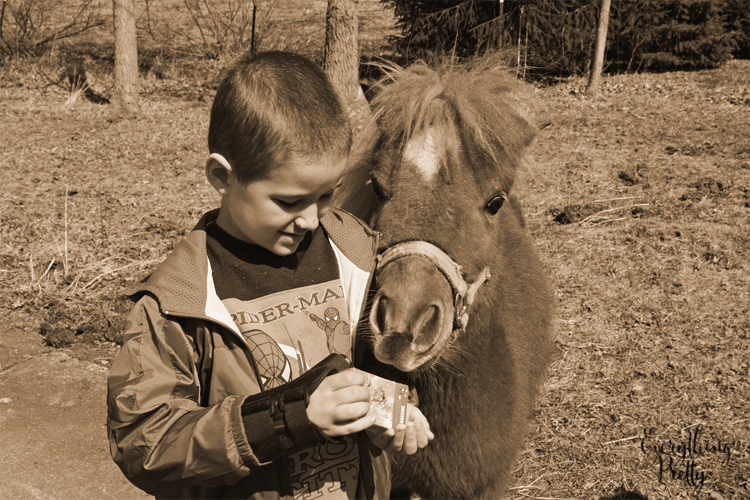 He loves animals, and they have always helped him feel better. My husband won't let me wrap Caleb in bubble wrap each day, so we have a well-stocked first aid kit in our home. 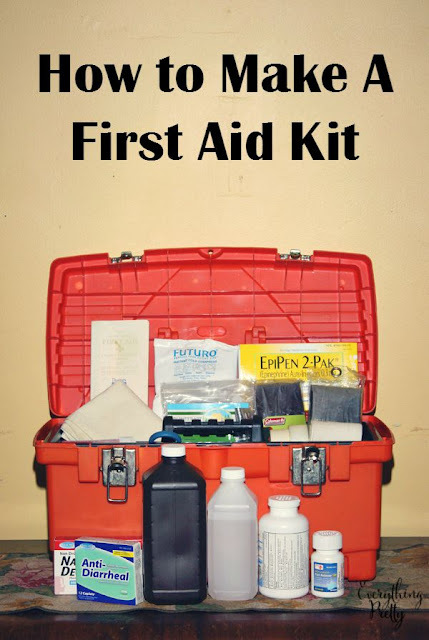 We use an orange tool box for our first aid kit because it's easy to find. I store it in the closet in my bedroom, so a gray or black box would be hard to find. This one is bright, easy to find, and easy to carry. Keeping my kids safe is my top priority. In order to ensure their safety, my husband and I have to protect ourselves financially. One way to do this is by purchasing supplemental insurance from Aflac. This type of insurance will help us pay for our everyday living expenses if one of us gets sick or has an accident. When there's a medical emergency, there's no time to wait for insurance money, so that's why Aflac recently introduced One Day PaySM, which approves and pays eligible claims in one day. Visit Aflac to learn more about accident insurance and how to protect your family.